​Arcs. The Wickliffe girls won the match 9-0 by forfeit as the Arcs only had two bowlers. The Wickliffe boys won their match 8-1. The boys won game one 847-518 led by Senior Tommy Shirer who bowled a match high 225 game. Sophomore Michael May also had a 206 game in the winning effort. May was just getting started as he matched his game one score with a 206 in the second game leading the Blue Devils to an 806-620 win. The win gave Wickliffe a 1653-1138 lead heading into the Baker games. Kyle Nelson and Shirer. The Arcs tallied their only point of the match in the second Baker game as they stopped the Blue Devils 151-125. Wickliffe recovered and took the third Baker game 124-117 led by Sophomores Stephen & CJ Kulchok, May and Brayden Morris. May had the high series in the match with a 412. Shirer also had a 395 series in the decisive win. On the girls’ side, the girls were still able to bowl, and their scores counted toward their season averages. Junior Haley Boylan led the girls with a nice 311 series (163-148) and Senior Rebecca Cvelbar also had a very nice 249 series (125-124). With the win the Wickliffe boys improve to 11-4 and the girls, who began the season 0-4 have now won seven of their last nine matches and have moved over the .500 mark at 7-6. 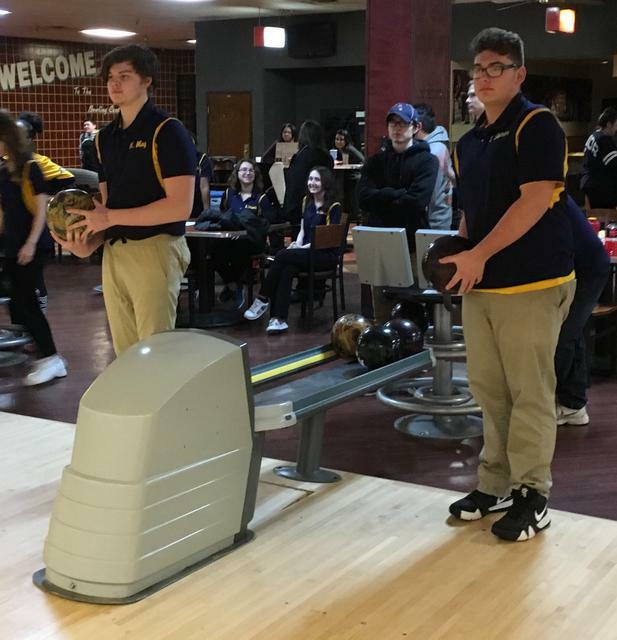 Next up for both the boys and girls Wickliffe teams they will bowl Sunday in the Tiger Nation Tournament at the Roll House Parma at 9:00 a.m. Brush will be in action next on Monday at Wickliffe Lanes against the Blue Devils at 4:00 p.m.